So, what could be so terrible it would cause one of England's most prolific authors to write a ten chapter-long allegory so damning it has outlasted the actually institution it criticizes? Before we get into that answer, let's start by learning about Russia. Why? 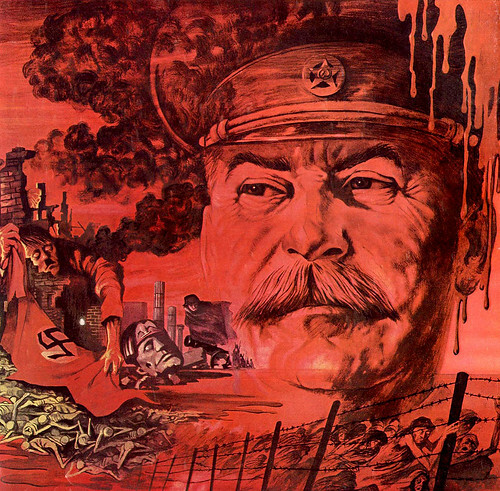 Russian history is at the core of the allegory of Animal Farm. It is impossible to appreciate its awesomeness without understanding what went on in Russia from 1914-1956. Read Animal Farm chapters 5-7. Read the historical information on the Some Russian History page. Read/Watch the presentations and videos on the Russian History Media page. Go to the Module 3 Discussion page after reading and watching the information and material above. Then, make a new post that shares four of the most interesting things you learned about Russian/Soviet history in this module. After completing all of the reading, head to the Russian History Timeline Assignment page to learn how to complete your first big project for this course. To get full credit, follow all the instructions and requirements on the assignment page. The instructor will use the rubric here will be used to grade your project. You may work with one or two other classmates to complete this project. Small groups will be expected to complete more thorough and higher quality timelines than students working alone. When you finish all of the tasks above, review your work to make sure it is the best you can do, make sure all work has been submitted to the correct place, and then click the button below to advance to Module 4.